Description: The latest addition to Red Arrow’s lineup, this brew is a traditional lager with West Coast influence. It is also aged for an extended amount of time in horizontal tanks to ensure smoothness and clarity. Tasting Notes: This lager was quite refreshing and clean, and was definitely characteristic of a smooth and somewhat hoppy lager. At the same time, it had a malt characteristic that I’ve found is quite typical of Red Arrow beers – which has a slightly rubbery taste to it. This would seem to indicate that the brewery is still hitting its stride. But they are getting there! Description: The Schwarze Gams is brewed in the Germanic tradition of Bock beer, employing dark, rich malts and a subtle dose of Noble hops to achieve a well-balanced, malty, and slightly sweet beer with intense mouth feel. It won the silver medal at the 2011 European Beer Star in the Dunkler Bock German Style category, the silver medal at the 2012 World Beer Challenge in the category of German Style Dark Bock, and the bronze at the 2012 Australian International Beer Awards. Tasting Notes: This is yet another late sampling from the 2014 Advent Beer Calender, one which I tried already but didn’t get around to reviewing. As Bock’s go, this was definitely a very decent one. It was a tad subtle, compared to many others I’ve had. However, this is something that’s to be appreciated. Subtle, complex, smooth, malty, and slightly sweet. Description: This Marzen is a classic example of the venerated German style, brewed by the world’s oldest Abbey brewery. Rich, deep colored malts combine with a mild dose of Noble hops to create a slightly sweet and syrupy lager. 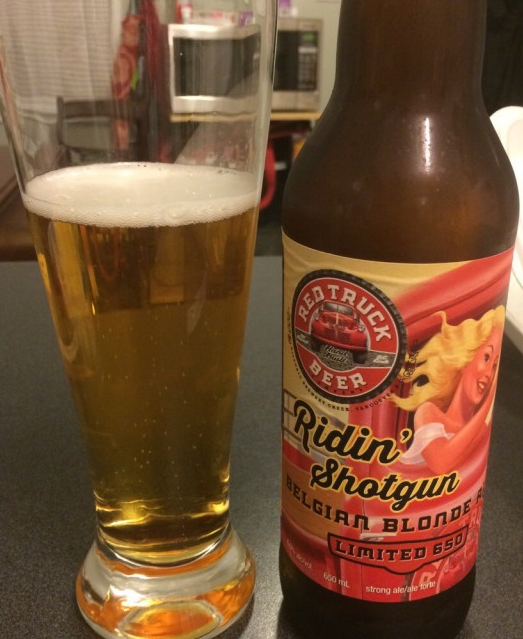 Description: This Belgian-style blonde ale is one of the the brewery’s many limited releases, from their “Limited 650” series. It is fashioned using Superior Pils, Vienna, and Specialty B malts, bittered with a combination of Noble, German Spalt and Saaz hops, and then aged for 21 days before being bottled. Tasting Notes: Ever since I got back from Belgium, I have been missing good , clean-drinking blonde ales. So it’s nice when local breweries do one and do it right. Like a good blonde, this one has all the right yeasty notes, a hint of sugar, and some crisp, clean malt flavor. It also has a discernible apple cider-like scent and flavor going on.